You’ve asked your client if they’d like to re-book. They said they would, but they’ll call you later when they have a time they know is free. They forget to call back and re-book because they’re busy. This is where Salon Swift can lift your re-book rates and it will fully automate the process. 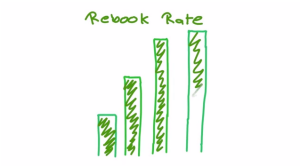 Spare a few minutes of your life to setup the automated rebook reminder system and reap the rewards.